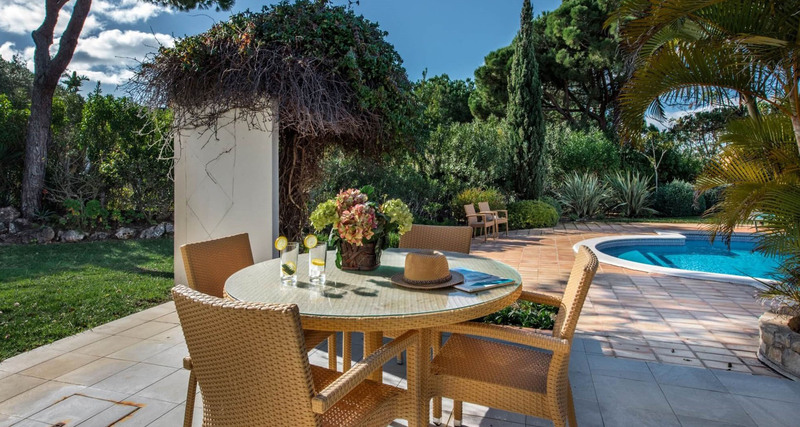 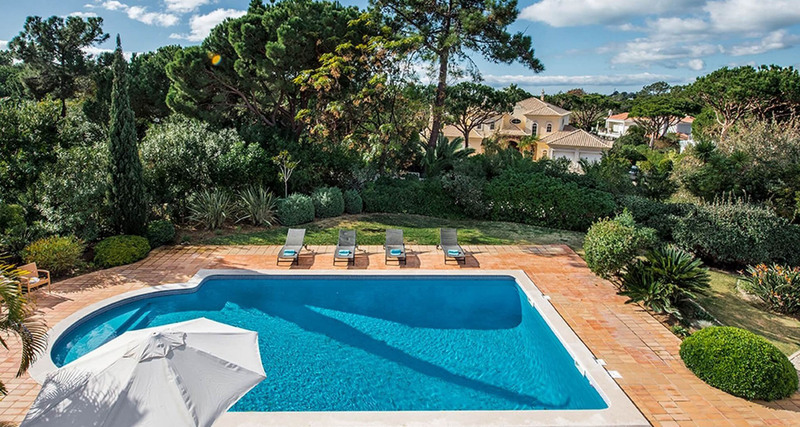 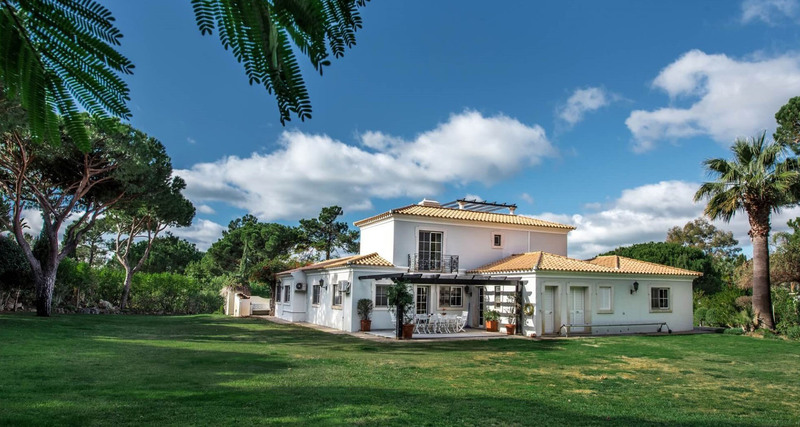 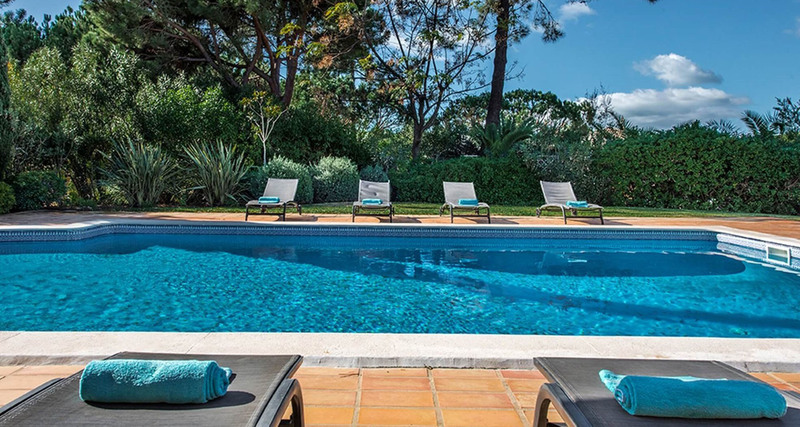 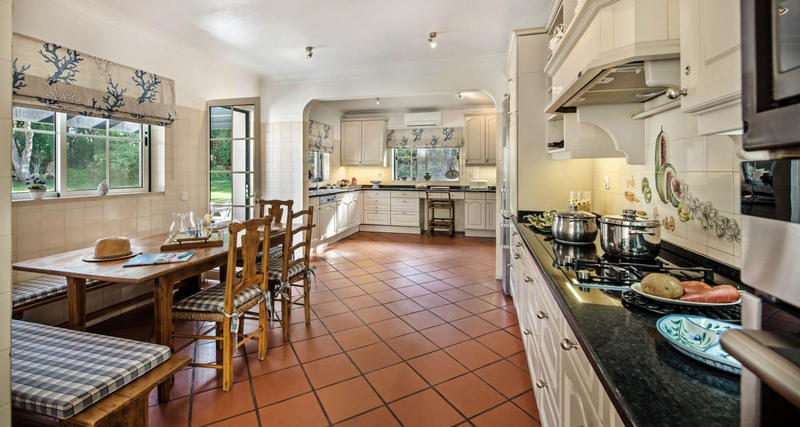 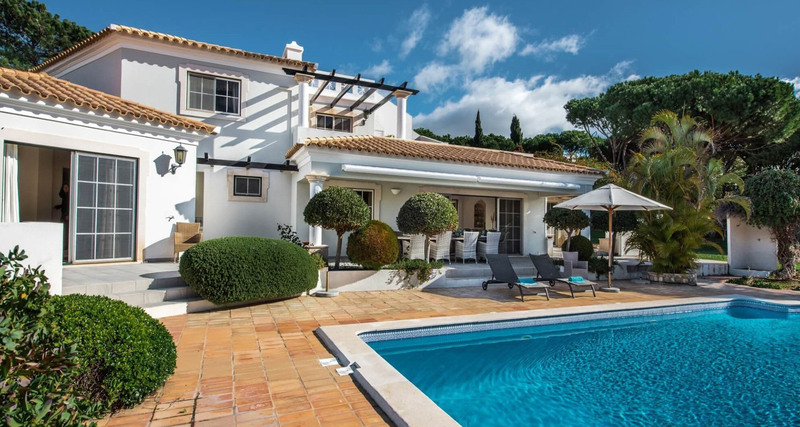 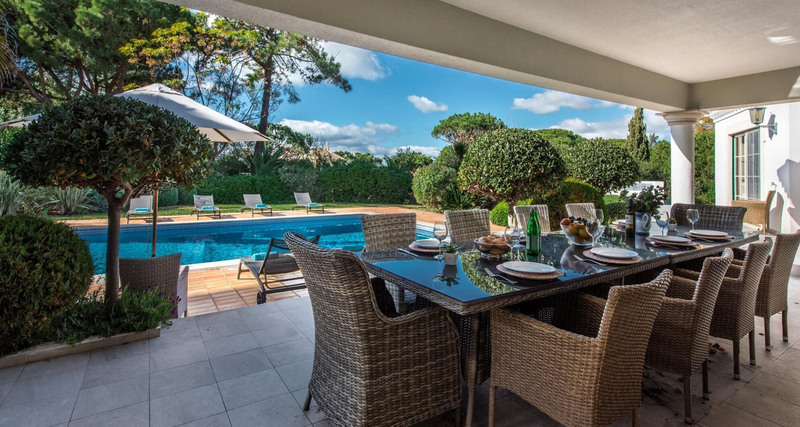 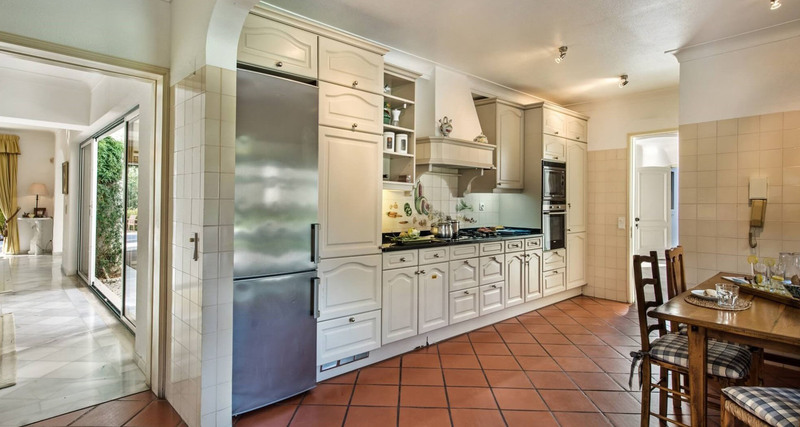 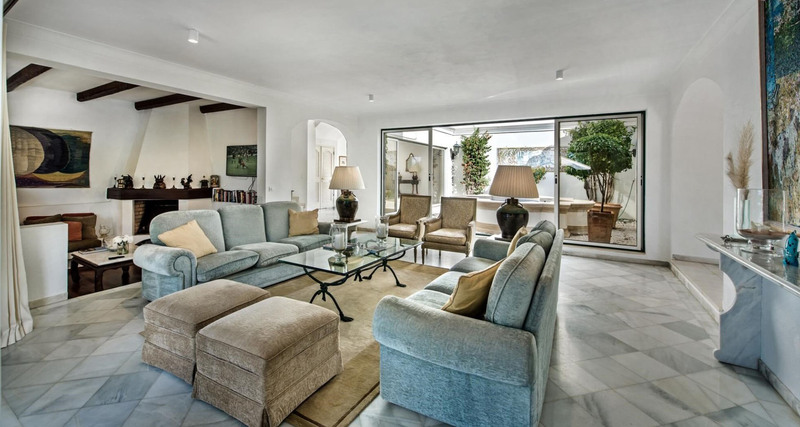 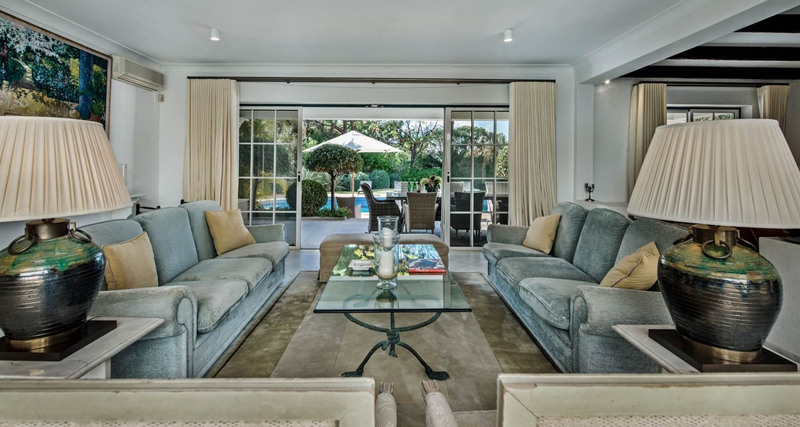 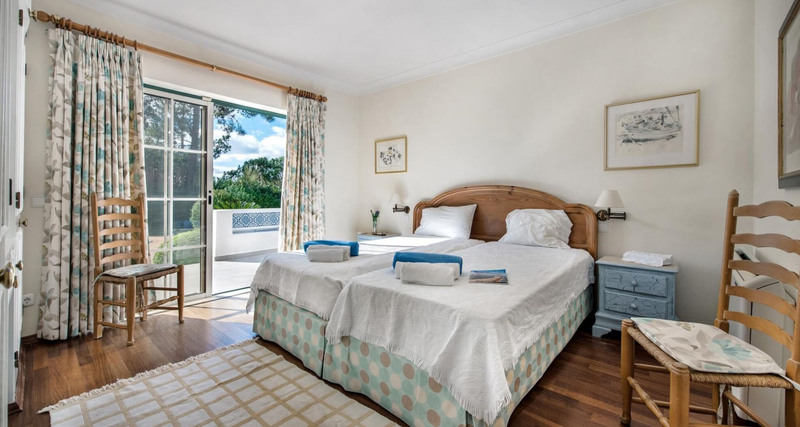 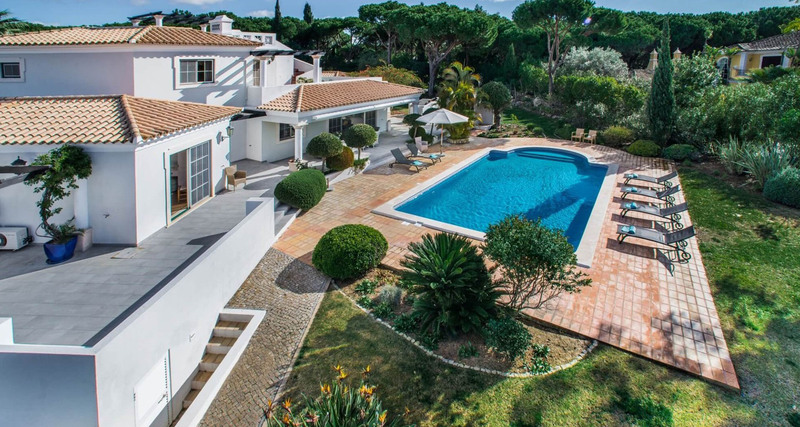 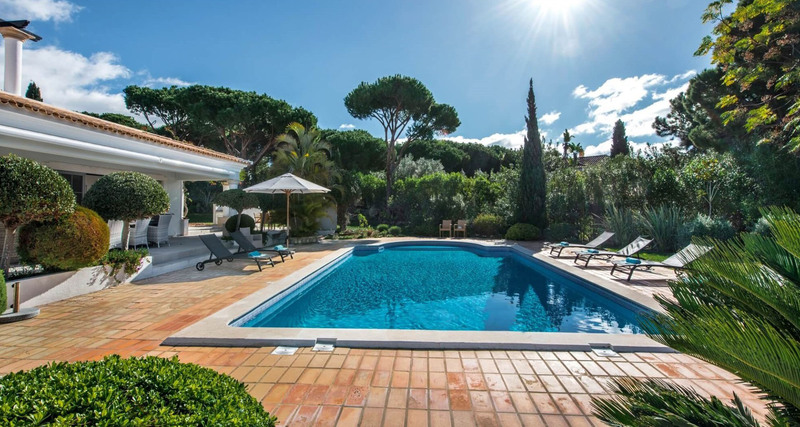 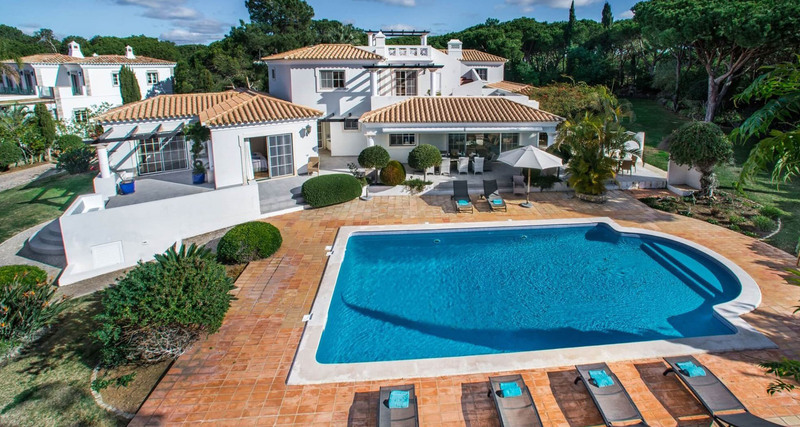 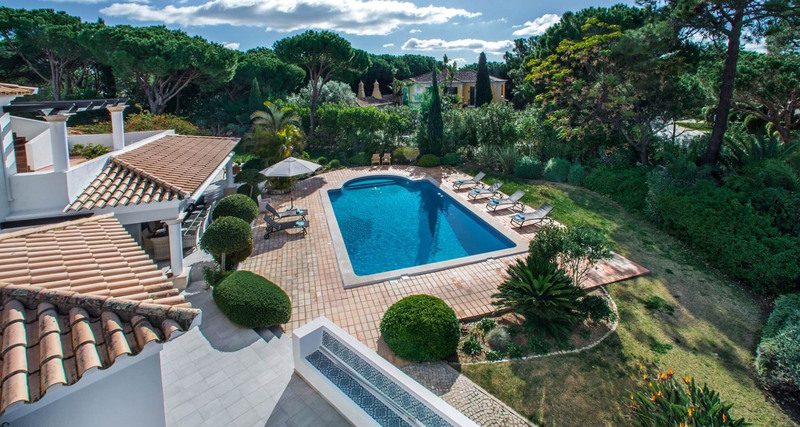 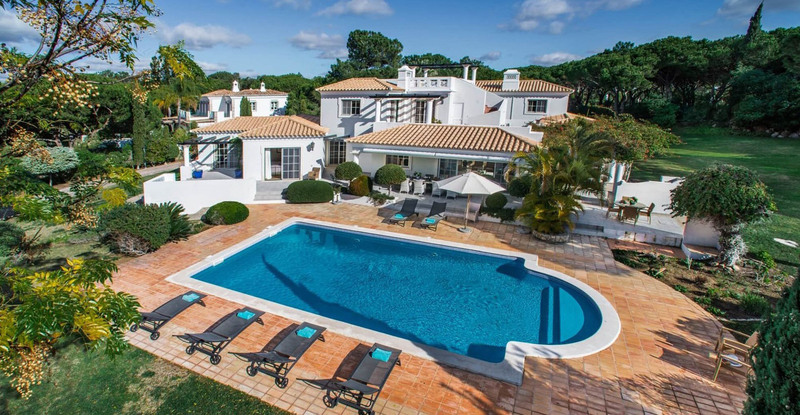 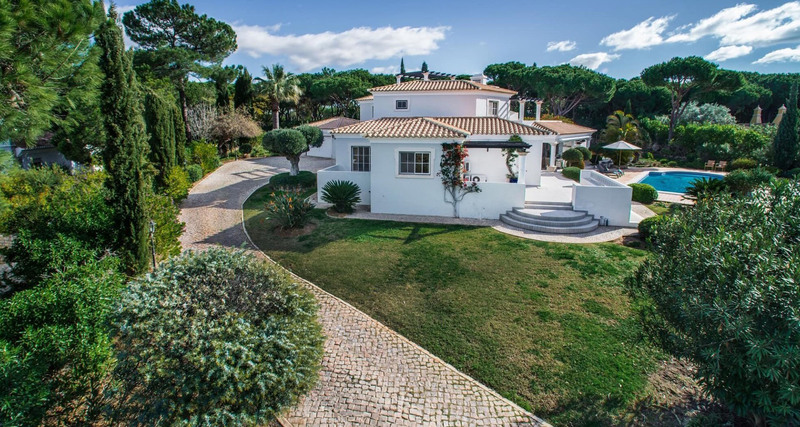 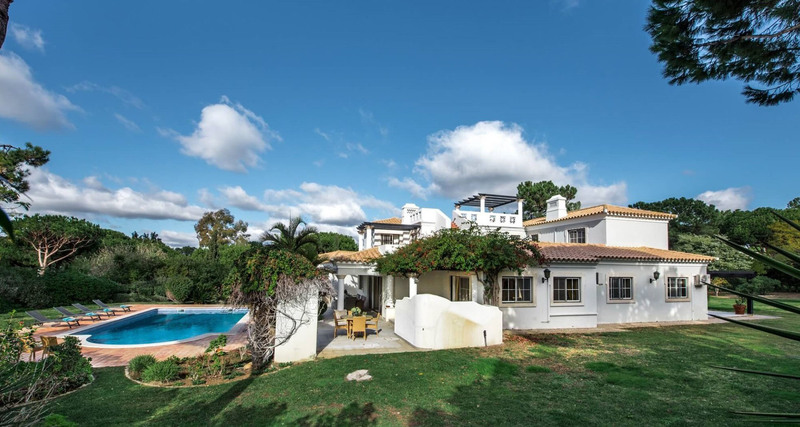 This pristine and private villa, situated within walking distance of Quinta do Lago Lake, features a beautiful swimming pool, exceptional space and sea views. 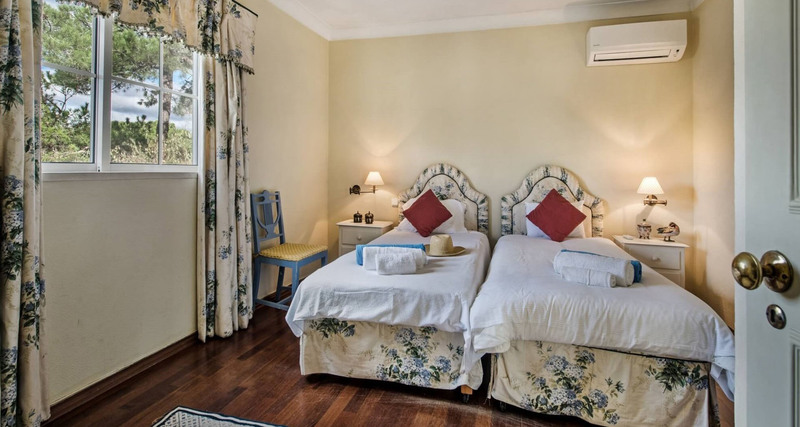 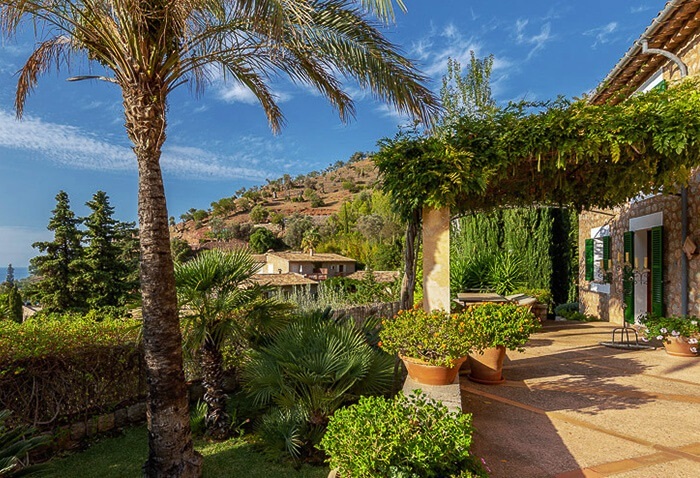 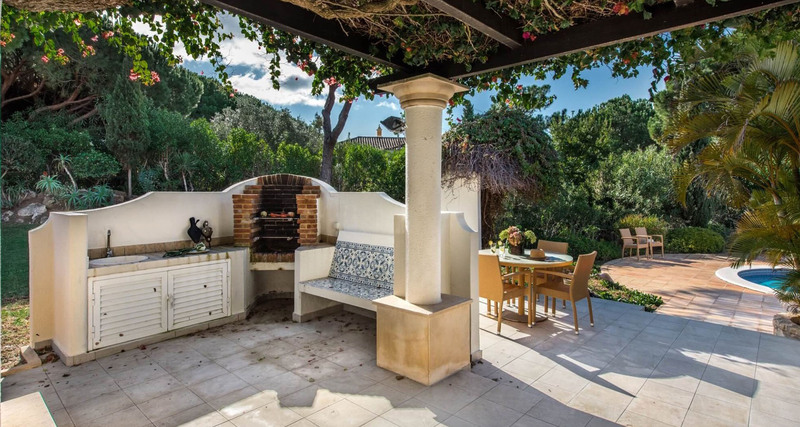 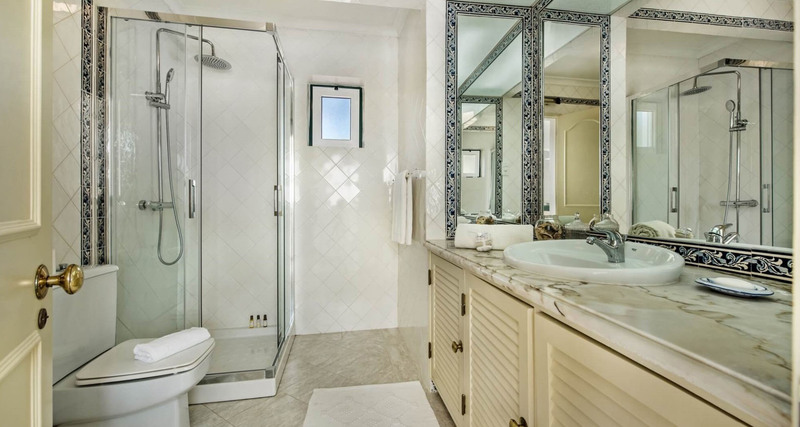 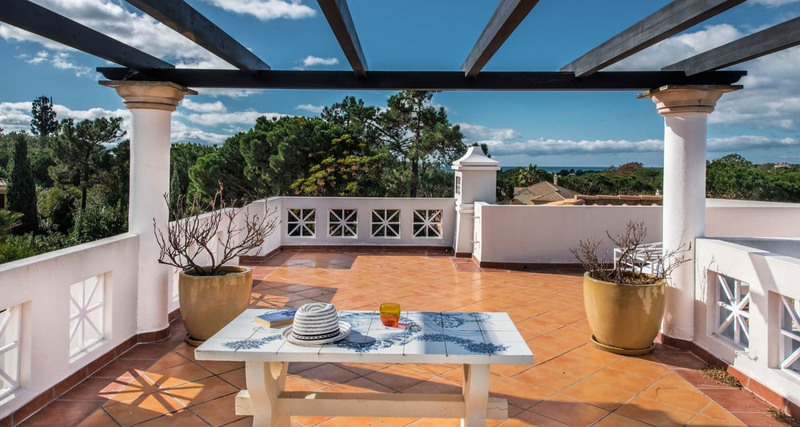 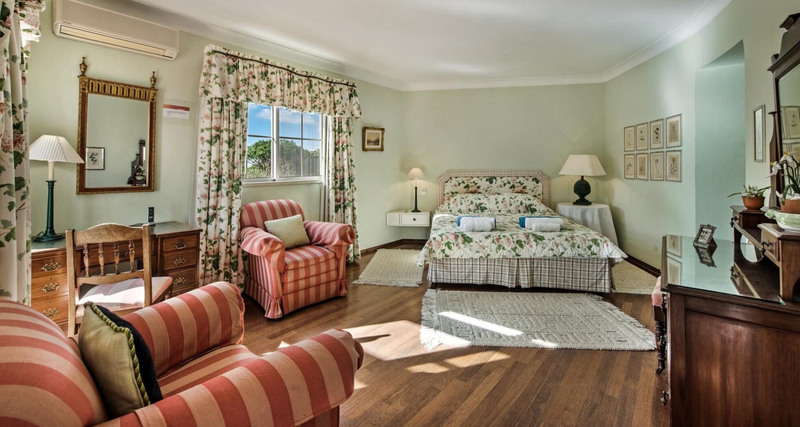 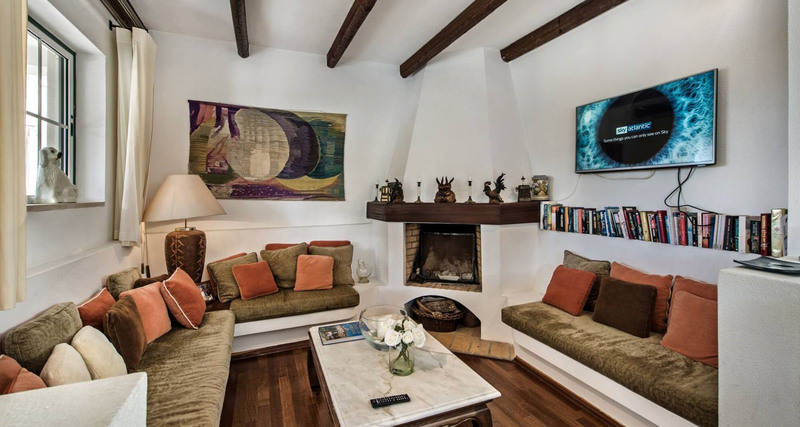 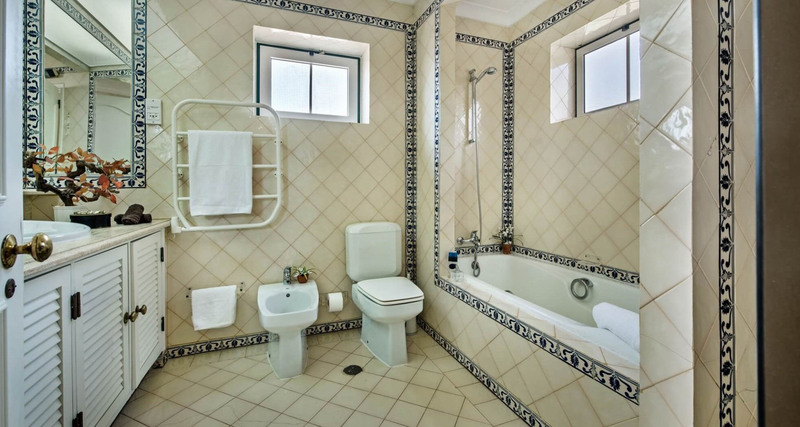 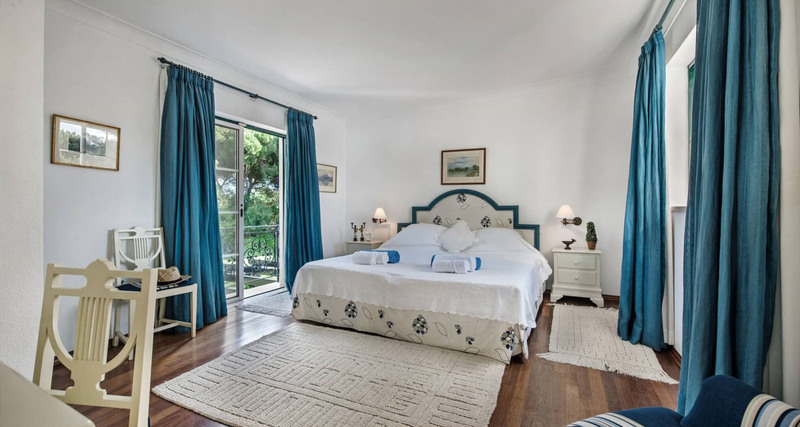 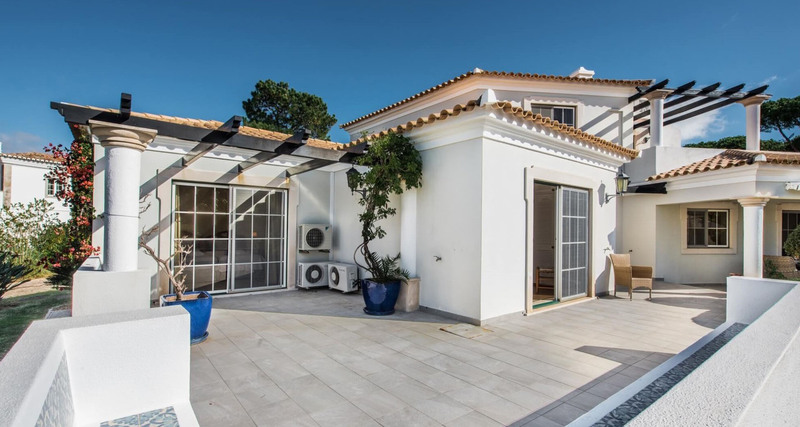 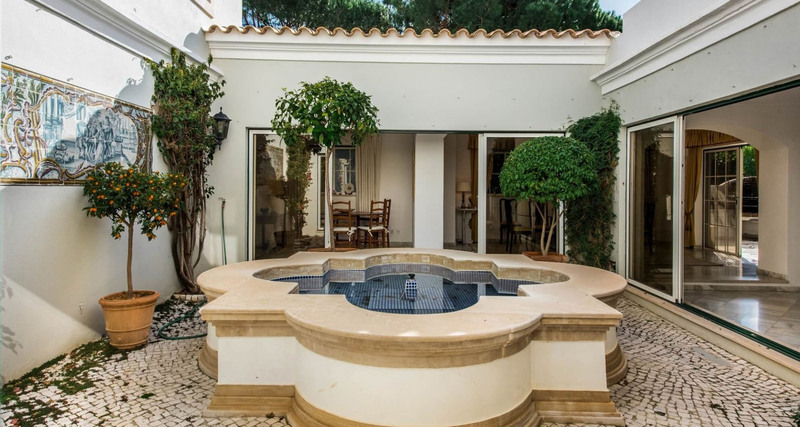 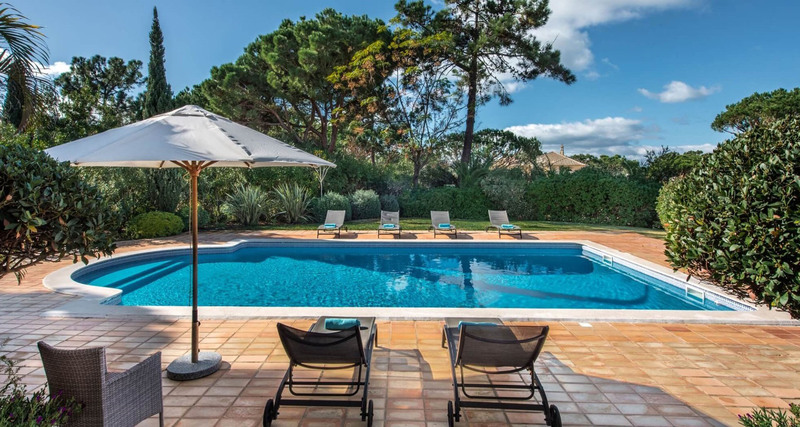 This traditional Algarvian villa has been stylishly decorated throughout and comfortably sleeps up to 12 people in 6 spacious bedrooms. 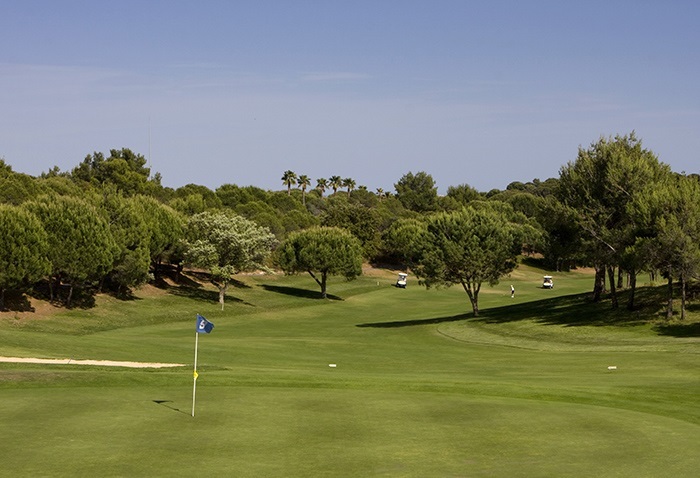 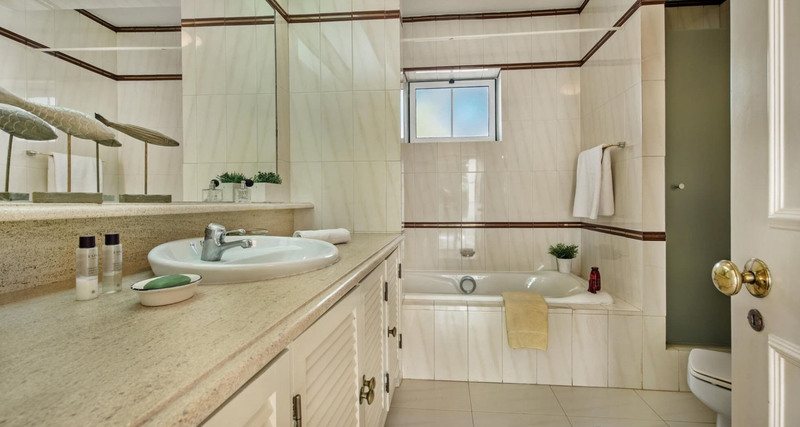 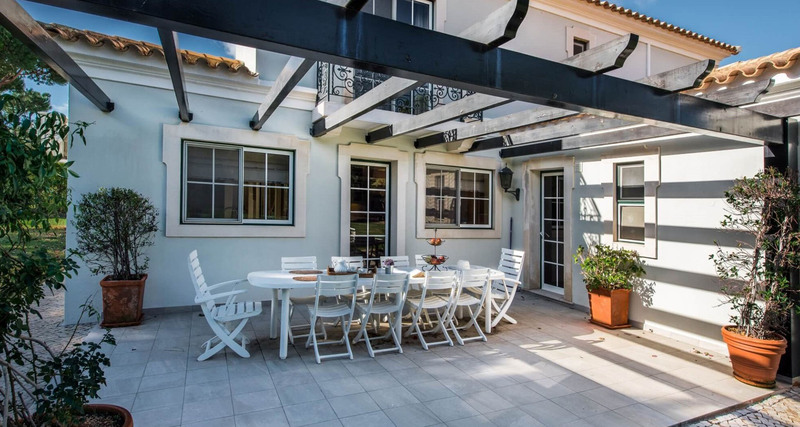 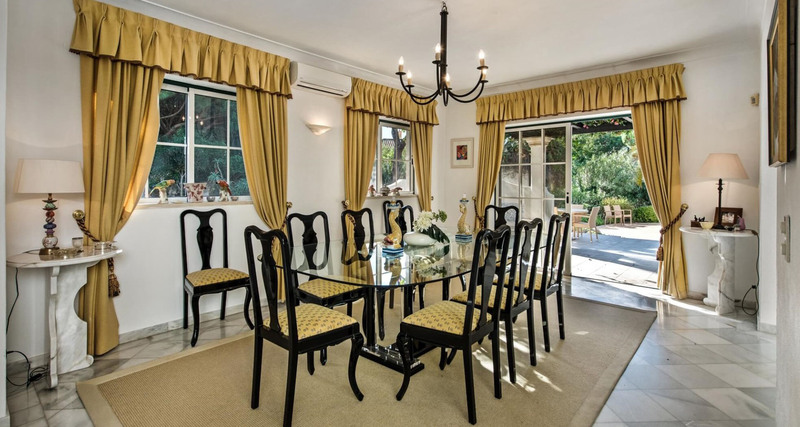 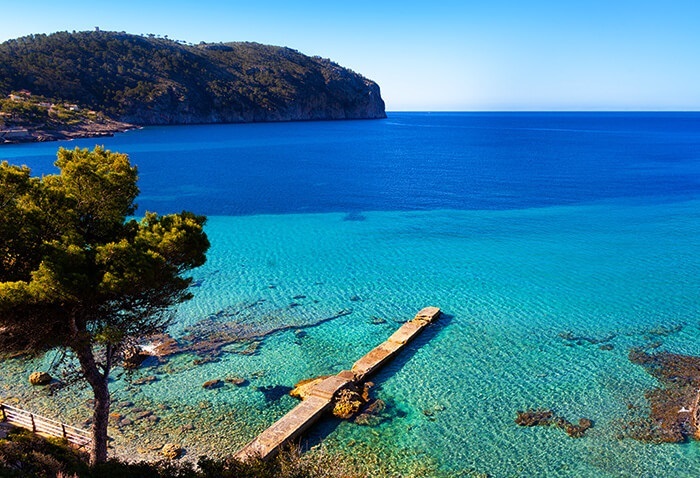 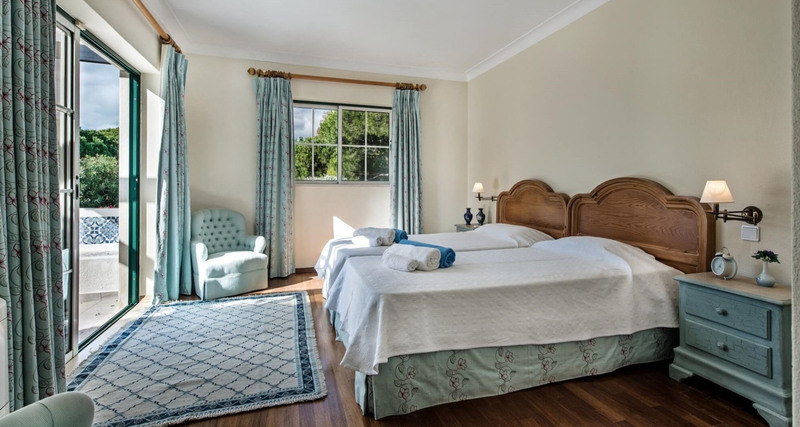 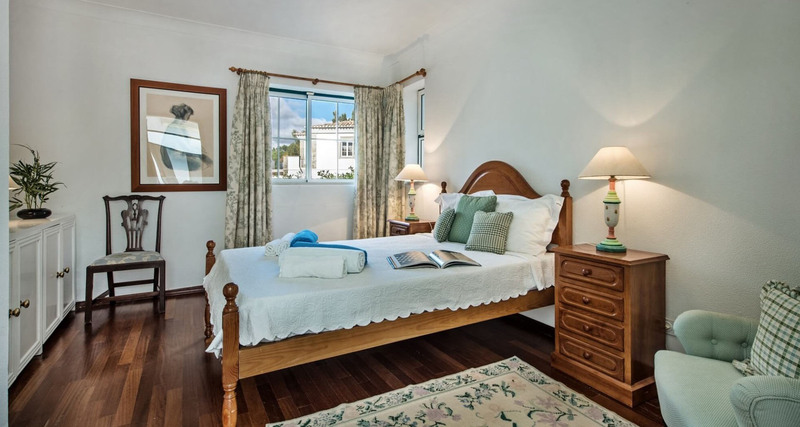 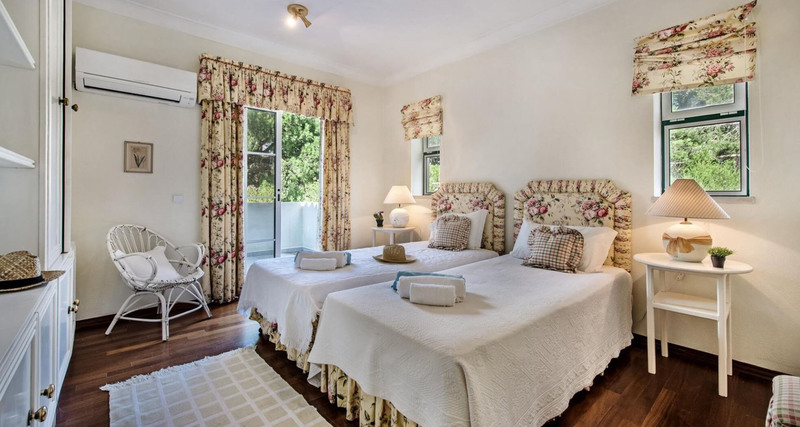 Set amongst a large garden with ample outdoor dining and relaxation space, this is the ideal getaway for a large group or family. 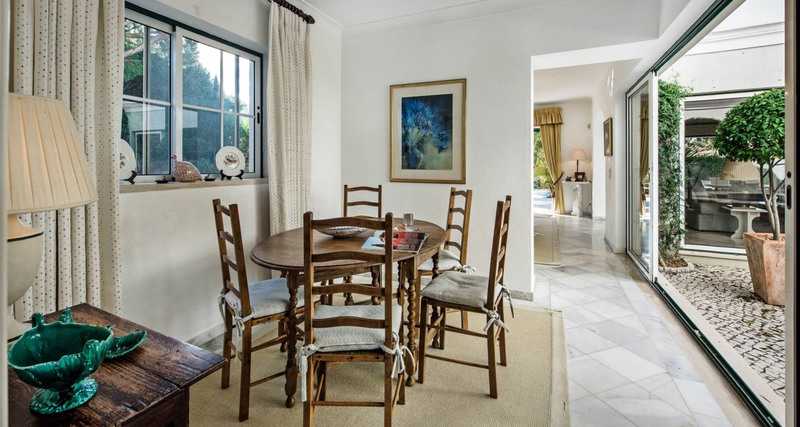 Two downstairs lounge areas with comfortable sofas, T.Vs and large glass doors leading to the terrace – Large indoor dining area and separate smaller dining area – Modern fully-equipped kitchen with fridge/freezer, hob/stove, microwave, dishwasher and breakfast area – Three ground floor twin bedrooms which share three bathrooms and have direct access to the terrace or garden – First floor master bedroom with en-suite bathroom and private terrace – Further first floor twin and double bedrooms which share a bathroom – First floor snug lounge area – Large swimming pool, which can be heated upon request, with sun loungers – Spacious terrace areas with outdoor dining tables and BBQ.